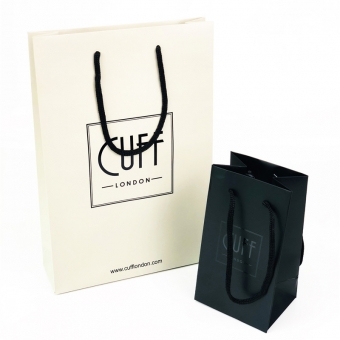 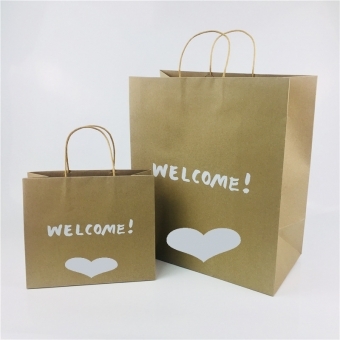 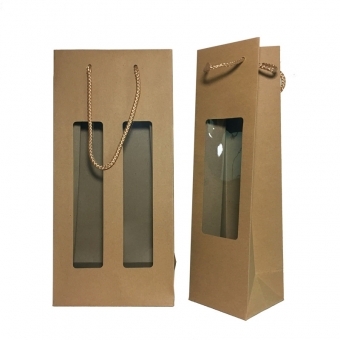 Kraft paper bags are more and more popular in nowadays market, not only because of the eco-friendly original material, but also because of the various choices of kraft paper sorts. 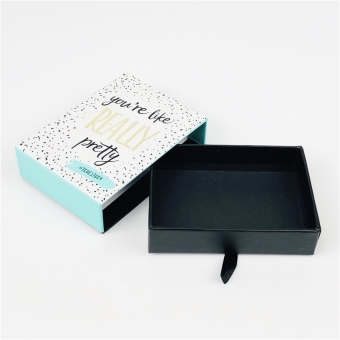 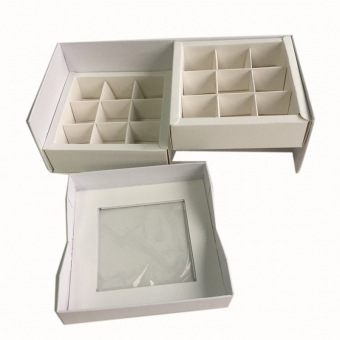 We can see it be used on apparels packaging, gifts packaging, cosmetics packaging, even on take away food packaging. 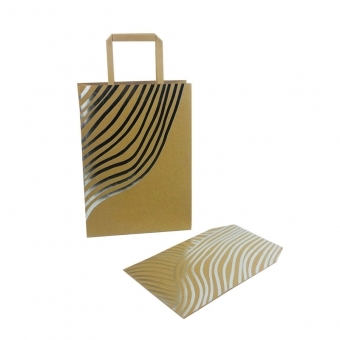 The one in picture is made of coated kraft paper, the outside is white, and the inside is nature brown. 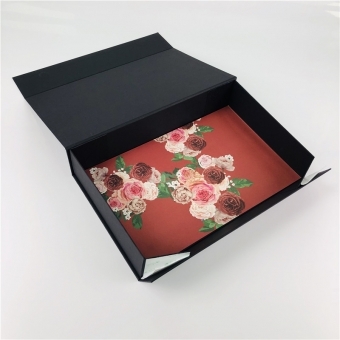 This paper material is imported from Europe, it could be folded without any damages. 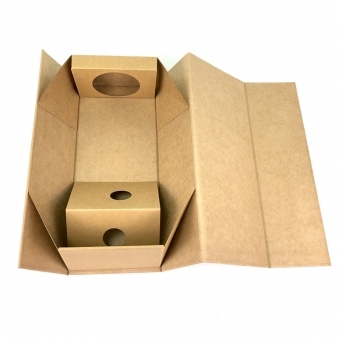 The flexibility is better than indigenous kraft paper. 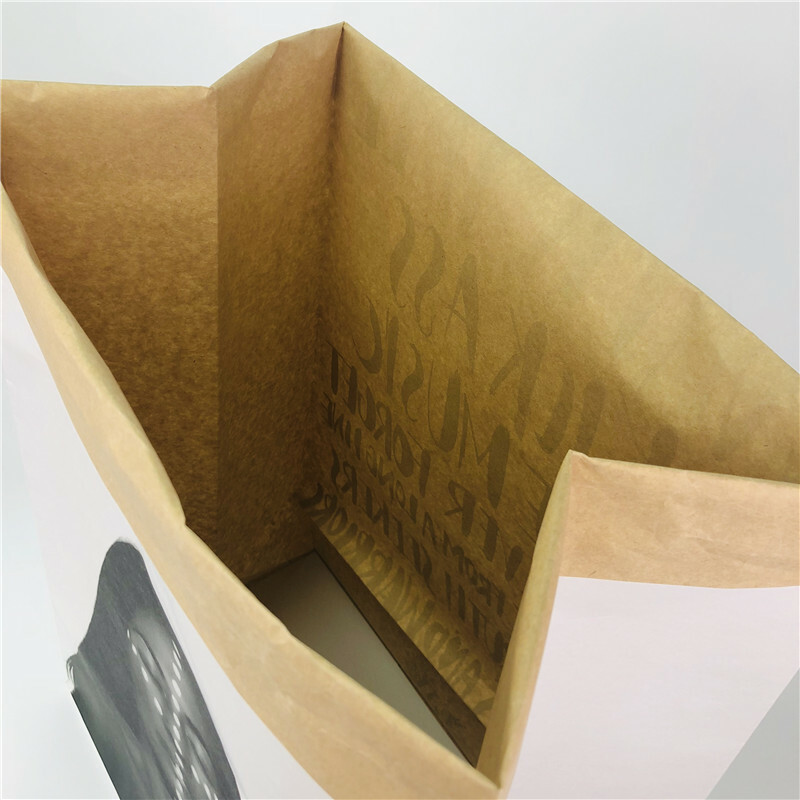 This printed kraft paper bag is used on wedding photos packaging, the size of it is L15.7" x G9.8" x H23.6" / L40 x G25 x H60cm. 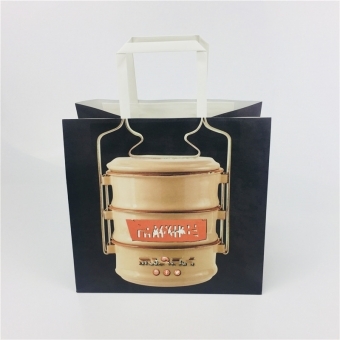 As everyone knows, the wedding photos are large and heavy, we can only hug the kraft bag by arms since no handles can hold the weight. 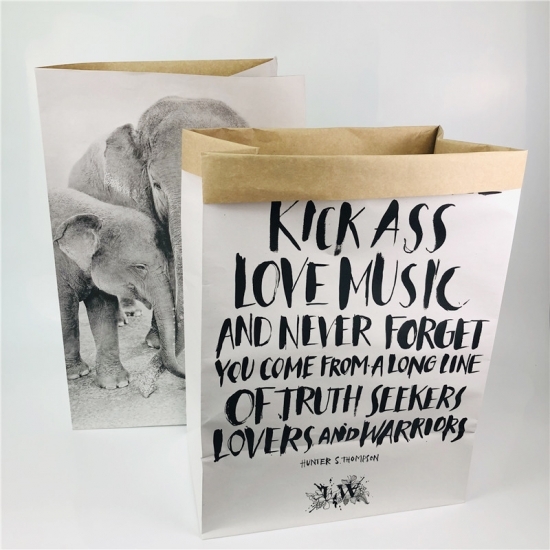 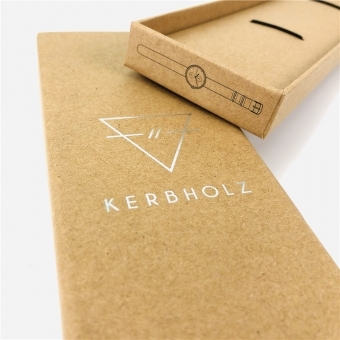 The designs of these meaningful kraft paper bags are brief but not simple. 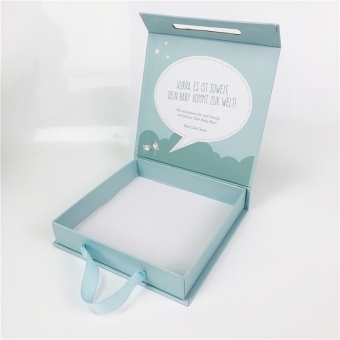 The front side printed with client's photography works, and the back side printed with some short love story or some truths about love. 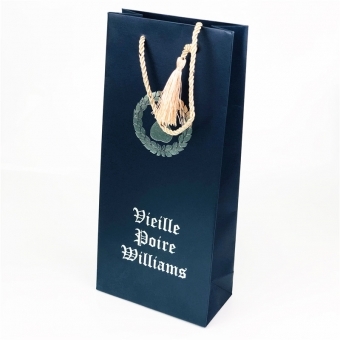 That makes this series kraft paper bags more interesting and charming. 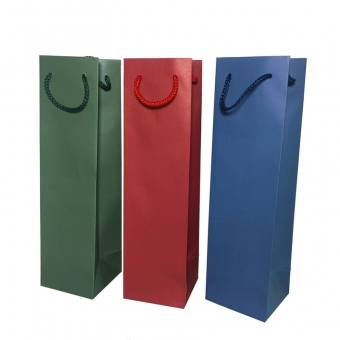 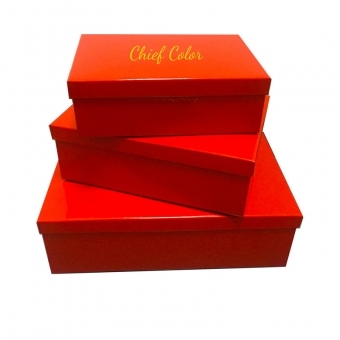 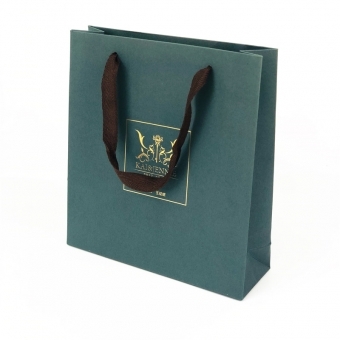 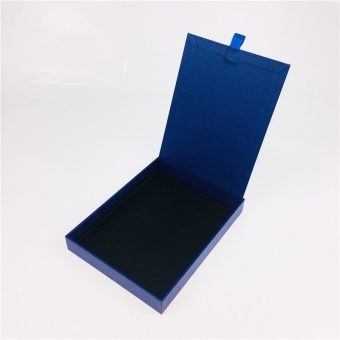 As a paper packaging manufacturer, we provide various customized paper bags. 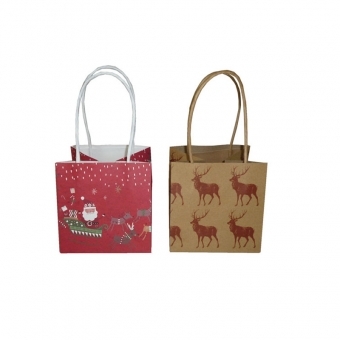 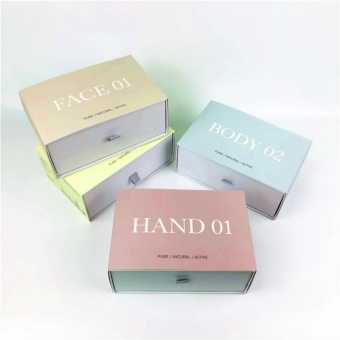 Paper bag types, paper bag sizes, the print design, the finishing, all these details could be customized. 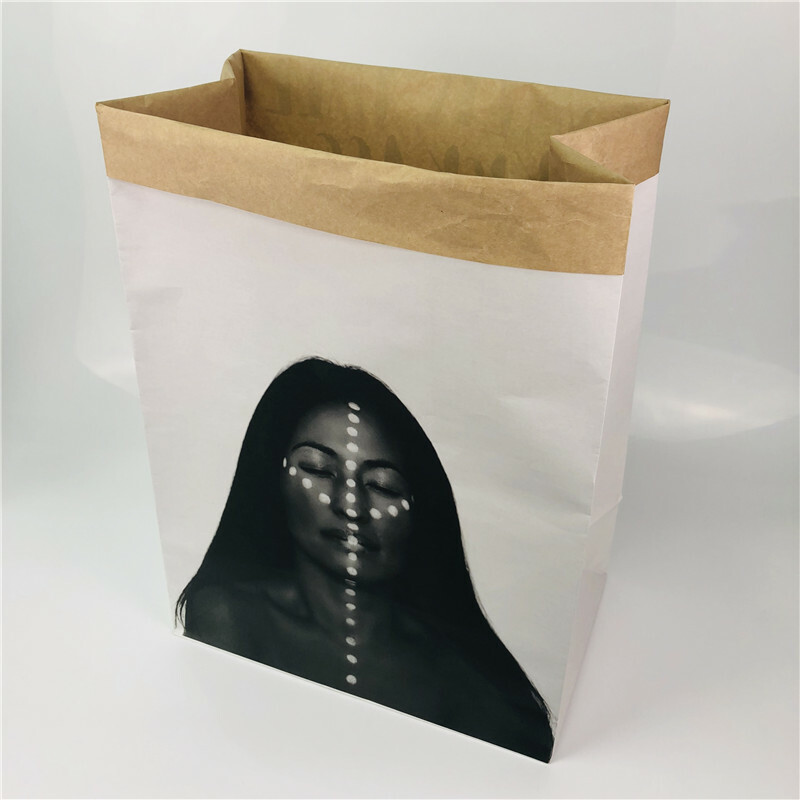 For the regular paper bag types, you can check our article Types Of Paper Bags That Are Usually Used for some reference. 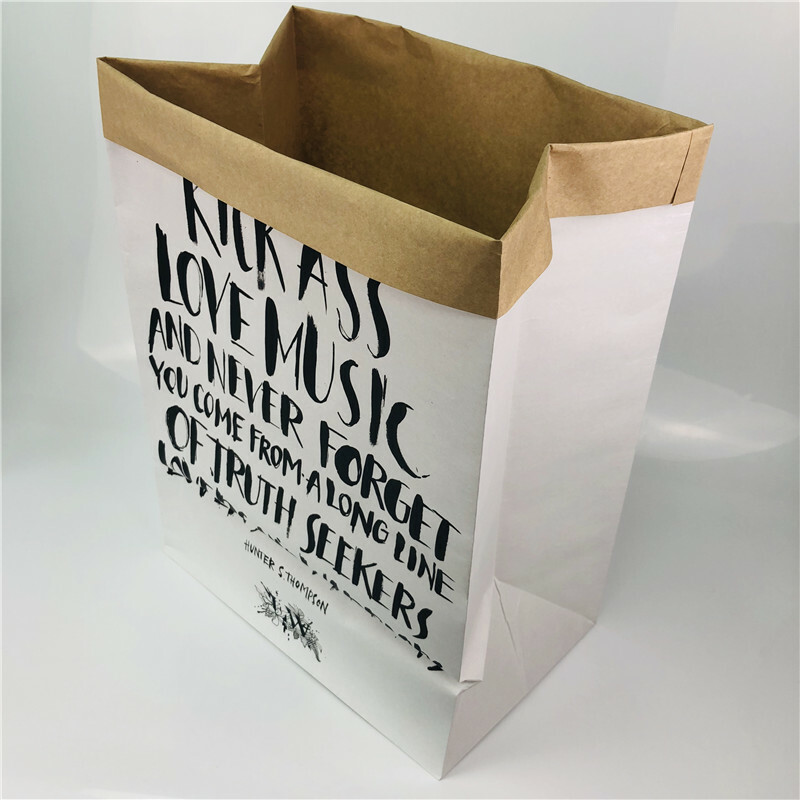 You just need to let us know the type and the size you want, we will provide free dieline template for you to put your own print design over it!